A standalone software for persistent online farming worlds! 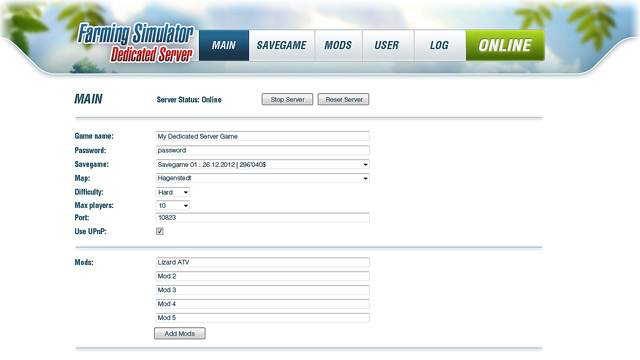 By popular request from the community we would like to create a dedicated server for Farming Simulator 2013. The standalone software „Dedicated Server for Farming Simulator 2013“ allows you to run Farming Simulator 2013 on a server that can be online even without any players in the game. This allows persistent farming worlds that run 24/7. Players can log in and play together anytime they want. Further a player can have admin rights which will grant him the same rights as if he would have started the multiplayer session. Additionally, because the Dedicated Server Software does not require a graphics card it can be run on cheap server hardware hosted in a datacenter with a fast and stable internet connection. This will result in a much smoother gameplay experience for all players. The scope and budget for Farming Simulator 2013 did not contain plans for a dedicated server version. Creating this software is a lot of work and we cannot fund this project only by ourselves. This is where you come in: We need your help in creating the dedicated server version for Farming Simulator 2013 and make persistent farming worlds possible. Crowd funding also allows us to see if the demand for a dedicated server is big enough. Once the Dedicated Server Software is installed you can administrate the server using a slick web gui. This allows you to select the map, savegame, difficulty and all respective settings for your game world. You can upload mods to the server and add them to the game; as well as allow your users to download these mods so they can join the server. Users can be managed and given various types of access. Regular users can only join the game and download the map and mods. Mod uploaders are allowed to upload new mods to the server and mod admins can test them and if they approve them they can be added to the current game. You can also grant your user access to the savegames or even full admin rights so they can reset the server or change the game. The funds are used to create the standalone software „Dedicated Server for Farming Simulator 2013“ which allows you to run Farming Simulator 2013 on a server that can be online even without any players in the game. 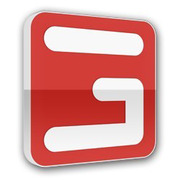 GIANTS Software is an independent game developer based in Switzerland. Creator and owner of Farming Simulator. What are the hardware and software requirements for the Dedicated Server Software? Where can I host my server and what would it cost? You should choose a hoster as close as possible to you and your players. For instance for Germany you could use Hetzner Online Server Auction and get a good server for about 40 Euros per month. Will there be any stretch goals? I am a game-server-hoster, what about bulk licenses?